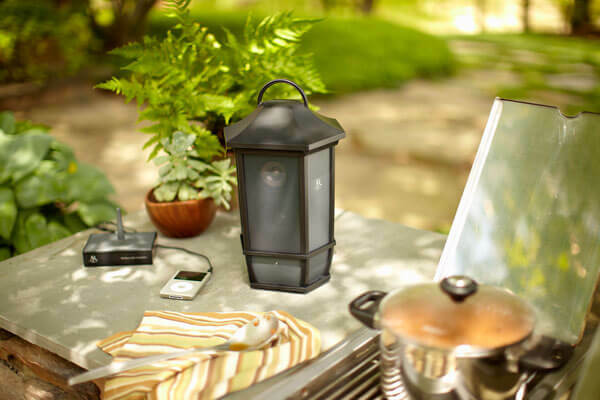 Wireless speakers can be a fun addition to any outdoor hangout. When spending time with family members on the deck, homeowners can also enjoy some of their favorite tunes. Best of all, outdoor speakers can be installed with minimal hassle. If needed, these speakers can even be moved to other locations around the house. In fact, these speakers can even be used indoors. This article will take a look at how anyone can install wireless outdoor speakers. The first step for installing outdoor wireless speakers is to find the right location. These speakers should be positioned in an area that is out of reach for animals and small children. It is also important to position the speakers away from an area that could be vulnerable to rainfall. The main idea to consider is where guests and family members will likely be gathering during family events. Most outdoor wireless speakers include a mount that makes them easier to install. Using a couple of screws, these speakers can easily be fastened to any wall or post. The speakers then snap into place on the mount itself. This makes it easy to remove the speakers if necessary. Speakers can also be placed directly on a table or even on the ground. However, speakers should not be permanently used on outdoor furniture. On a windy day, unfastened speakers could get damaged. Installation is fairly intuitive, but homeowners will need to experiment with positioning the speakers in the right location. As with all electronics, outdoor wireless speakers can be damaged by exposure to water. Although these speakers are designed to manage light rainfall, their waterproofing is not sufficient for flooding or major storms. Homeowners should bring them indoors if a big storm is approaching. Homeowners should also consider bringing them indoors during the winter, as animals can sometimes build a nest inside of the speakers. In other instances, outdoor speakers have been known to bend under the pressure of accumulated snow. Wireless speakers can unfortunately create several problems for homeowners. Over an extended period of time, their shadows can cause uneven fading. This could leave a dark spot on the home’s siding or woodwork after the speakers have been removed. This problem can usually be avoided by occasionally moving the speakers to different locations.